Even if epinephrine has been given, your child still needs to go to the hospital for observation by medical professionals because your child may need further treatment. Many parents worry they might mistake anaphylaxis for an asthma attack. Epinephrine can be used to treat the symptoms of an anaphylactic reaction and an asthma attack. In the past, epinephrine was used to treat asthma attacks before modern asthma medications were available. Discuss this with your doctor. Give other medications, such as asthma drugs and antihistamines after giving epinephrine. Keep in mind that antihistamines are slow to act and have not been proven to stop anaphylaxis. Do not store it in a car or a fridge. In the case of cold weather, keep it inside your child’s coat. In hot weather, keep it in the shade. 2. National Institute of Allergy and Infectious Disease (NIAID)-Sponsored Expert Panel. “Guidelines for the Diagnosis and Management of Food Allergy in the United States: Report of the NIAID-Sponsored Expert Panel.” The Journal of Allergy and Clinical Immunology 126.6 (2010): S1-S58. 3. Sampson, H.A. et. al. “Second symposium on the definition and management of anaphylaxis: Summary report—Second National Institute of Allergy and Infectious Disease/Food Allergy and Anaphylaxis Network symposium.” The Journal of Allergy and Clinical Immunology 117.2 (2006): 391-397. 4. Canadian Society of Allergy and Clinical Immunology. Anaphylaxis in School & Other Settings. 2nd Ed. Revised. 2011. The information in this handbook is for educational purposes only. It is meant to help people learn how to manage a child’s allergies. It is not meant to give specific medical advice, recommendations, diagnosis, or treatment. Readers should not rely on any information contained in this handbook as a replacement or substitute for professional medical advice or diagnosis or treatment. Nor should they delay getting professional medical advice or treatment because of information contained in this handbook. Medical knowledge is constantly developing. 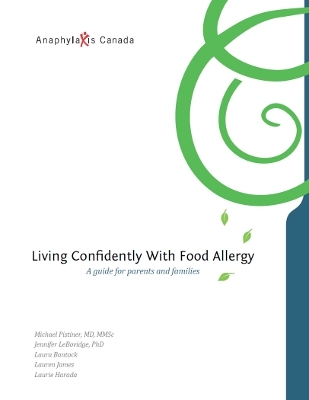 The authors of this handbook – Michael Pistiner, Jennifer LeBovidge and Anaphylaxis Canada – as well as individual contributors and reviewers will not be held responsible for any action taken or not taken based on/or as a result of the reader’s interpretation (understanding) of the information contained herein.